To allow your Magento store to successfully integrate with Brightpearl, please read and confirm your set up meets the prerequisites. Our integration supports 1.6.2 and above. If your Magento store shows as 1.6 - don't worry, they have provided a patch. Please ensure your hosting environment specification is suitably configured to allow API requests, read more about the server requirements needed for integrating Magento with Brightpearl. Brightpearl requires that every product is given a brand. We use the Magento attribute with code "manufacturer" for this value, so before we import your Magento items you'll need to make sure every product has a manufacturer. 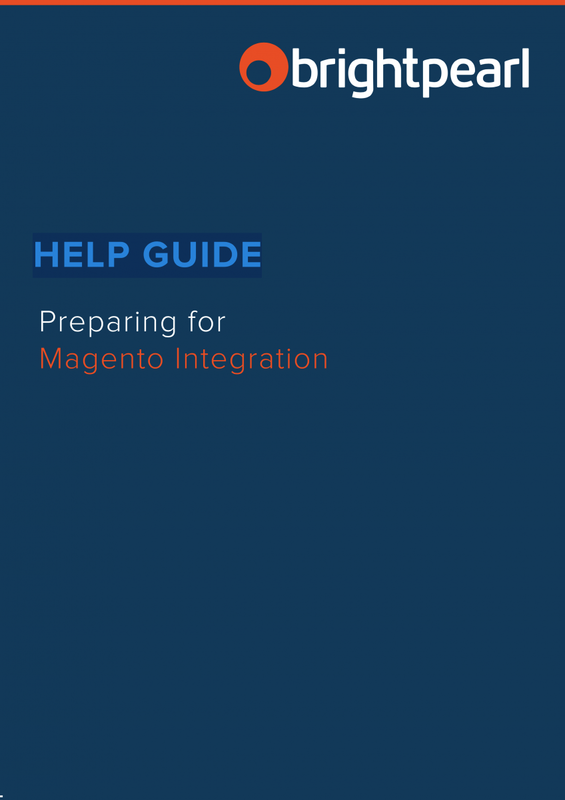 Before any integration is created to your Magento store, we strongly recommend you take a full back of the Magento database, read more about this in our Getting Started guide available below. Ensure the same base currency is used in Brightpearl and in Magento. 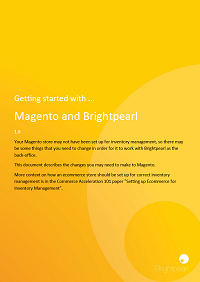 For more info, please download our Getting Started with Magento and Brightpearl guide. It will help you to understand the complexity of your project, based on what level of integration you want to achieve.